Astarte Moon Inspirations a life closer to nature's rhythms : 20 Ways to celebrate Ostara Eostre, Oestara, the Spring Equinox. 20 Ways to celebrate Ostara Eostre, Oestara, the Spring Equinox. 20 Ways to celebrate Ostara, the Spring Equinox. You may be celebrating Oestara on your own or with friends and family and below are a few ways in which you can welcome the Spring into your home and honour the turning of the wheel. If you have children the Spring Eqinox is a wonderful time of year as new life is all around us and the cycle of life can be explained to children; you can have great fun with craft projects to illustrate this. 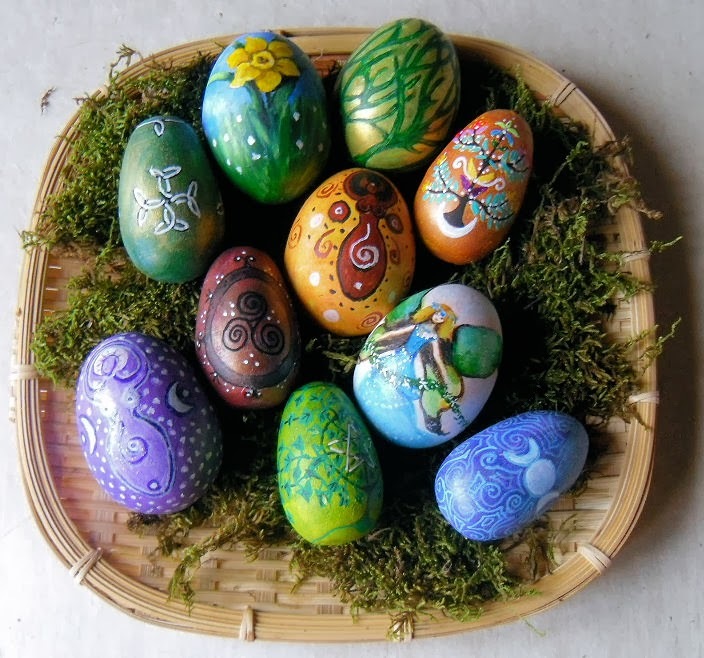 Decorate some eggs. You could get real eggs and hard boil them, then use vegetable dye to make them lovely spring colours. If you create a pattern with candle wax before dying them this makes a lovely effect when the wax is scratched away. Or alternatively make eggs out of papier-mâché or cardboard and decorate them with felt tip pens and sequins. You can decorate them with Pagan symbols of new life and balance such as spirals or the Yin and Yang symbols. 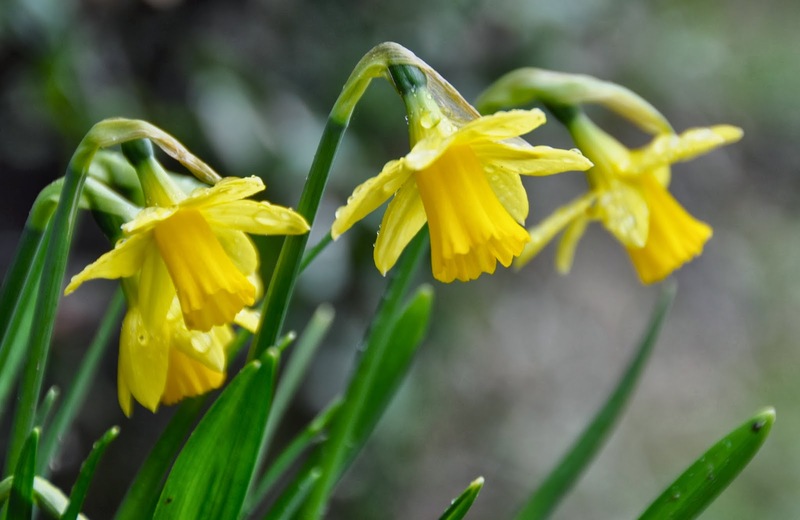 Hang them around your house or place them on your altar to welcome the coming of Spring. Carry out some ‘spring cleaning’. Pick an area of your house that could do with a sort out and have a good clear out of anything that you no longer need. Getting rid of old accumulated things makes way for something more positive to enter into your life. Go for an Oestara/Ostara walk to your local park or out in the countryside. Notice which flowers are starting to bloom, which trees have got buds on them, and give thanks to our mother earth, Gaia for all the bounty that she provides us with. 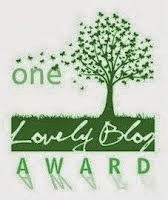 You may like to meditate with the trees for a little while, absorbing the wisdom that they have to give to us. Make an Ostara display. You could use spring flowering bulbs such as crocus, hyacinth, tulips, daffodils. Oestara themed objects such as rabbits and eggs, and pretty pastel colours will finish off your decorations perfectly. Meditate on the Moon-Hare, the animal our ancestors saw on the face of the moon. Let your mind wander to thoughts of how to make sure your life is blossoming this spring. Clear out a section of your garden in readiness for some spring planting. You may have a section that needs weeding or cutting back in readiness to plant some flower seeds or some spring vegetables. Think about any relationships in your life that might be a little out of balance at the moment. 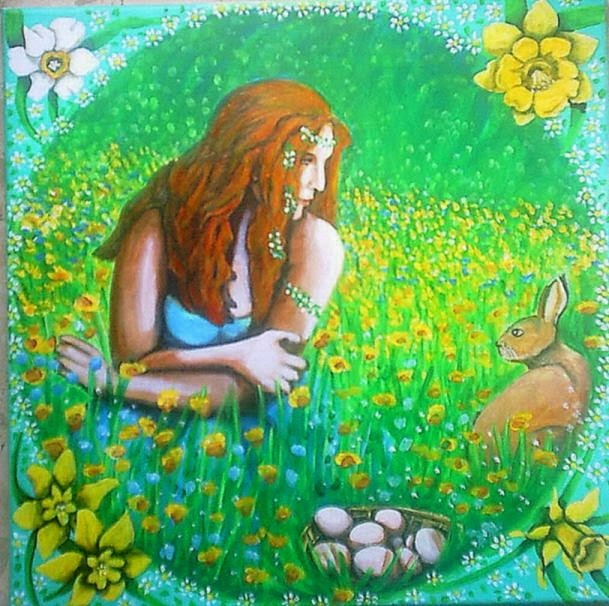 Ostara or Eostre is a time of balance in nature and a perfect time to sort out anything that is a little out of kilter. It may mean an apology or a little more effort on your part but it is worth it for the harmony it will bring to your life. Make a dragon puppet out of old egg boxes held together with string and stuck on green canes. Your children might like to perform a puppet show for you with the dragons that they have made. Our ancestors could strongly feel the dragon energy that ran through our land, the ancient ridgeways were said to be the backbone of the dragon. Honour this dragon energy with your very own creation! We would love to see a picture of your dragon. Dance to celebrate the coming of spring and the returning of the light. You could dance a pre-rehearsed dance such as a dragon procession, or you could simply put on your favourite music and dance around the house. Dancing is always a perfect way to obtain a feel-good factor! You don’t have to be any good at it- dance on your own or with friends and family and just enjoy yourself. Taking time to meditate with trees can be a very special feeling to share with mother nature, especially Alder, Ash or Birch if you know of any that grow nearby as these are symbolically important for Ostara. Share some Ostara food with friends or family. You could bake some bread, eat hot cross buns or hard boiled eggs. As you eat and enjoy one another’s company give thanks to our mother Goddess for all that she has provided for you. Have a traditional Ostara breakfast of buns and eggs. Eggshells provide fertility to your garden, spread some crushed egg shells around your plants with a blessing for the plants and soil. Wear clothing in spring like colours such as green and yellow. Have an easter egg hunt around your home or garden, children and adults alike enjoy this pastime! In our house every year we create clues that lead all around the place, eventually ending up at the place where the eggs are all hidden: usually the washing machine! Make some spring equinox healing water. Leave water in a bowl from dawn until midday at the time of the equinox. This energizing water will be fabulous to use around the house as a blessing, or drink a little every day to encourage optimism and self confidence. Bless any new projects you are about to start with a little of your equinox water. Make an Ostara basket with food and drink of the season and take it round to a friend or neighbour who is feeling under the weather at the moment. Spread a little Ostara magic! However you celebrate Oestara this year, above all enjoy yourself. This is a time for celebration and new beginnings, it is a very joyous time of year when the earth is awakening and the flowers and trees are coming to life. The warmer days make us feel better and give a hope for the increased sunshine and happy days ahead of us.